Most of the birds you've ever seen—sparrows, finches, robins, crows—have one crucial thing in common: they're all what scientists refer to as perching birds, or "passerines." The passerines make up about 6,500 of the 10,000 bird species alive today. But while they're everywhere now, they were once rare, and scientists are still learning about their origins. In a new paper in Current Biology, researchers have announced the discovery of one of the earliest known passerine birds, from 52 million years ago. 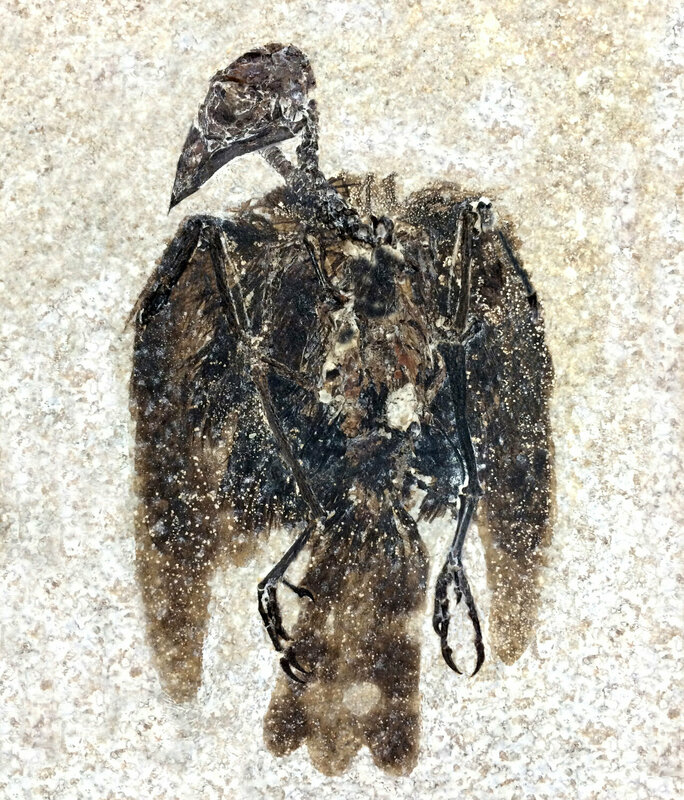 The paper describes two new fossil bird species—one from Germany that lived 47 million years ago, and another that lived in what's now Wyoming 52 million years ago, a period known as the Early Eocene. The Wyoming bird, Eofringillirostrum boudreauxi, is the earliest example of a bird with a finch-like beak, similar to today's sparrows and finches. This legacy is reflected in its name; Eofringilllirostrum means "dawn finch beak." (Meanwhile, boudreauxi is a nod to Terry and Gail Boudreaux, longtime supporters of science at the Field Museum.)" "Fossil Lake is a really graphic picture of an entire community locked in stone—it has everything from fishes and crocs to insects, pollen, reptiles, birds, and early mammals," says Grande. "We have spent so much time excavating this locality, that we have a record of even the very rare things." Grande notes that Fossil Lake provides a unique look at the ancient world—one of the most detailed pictures of life on Earth after the extinction of the dinosaurs (minus the birds) 65 million years ago. "Knowing what happened in the past gives us a better understanding of the present and may help us figure out where we are going for the future."